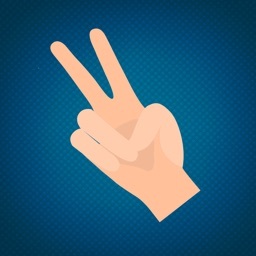 Do you know what’s more memorable than the classic game of Rock, Paper, Scissor? 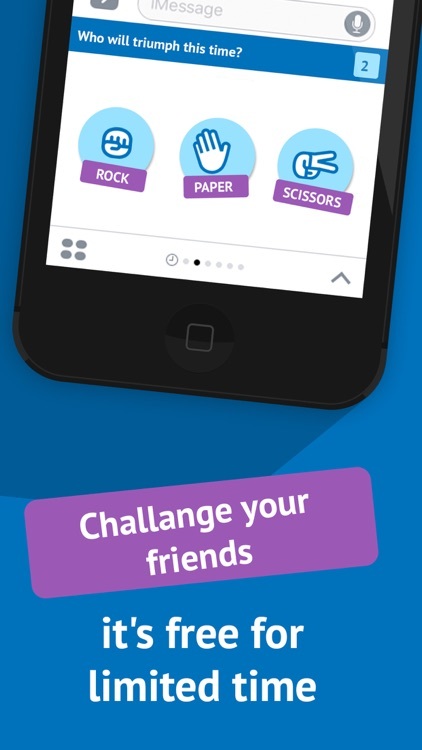 Well, it’s playing a live game of Rock, Paper, Scissor against any friend and represent a real challenge! 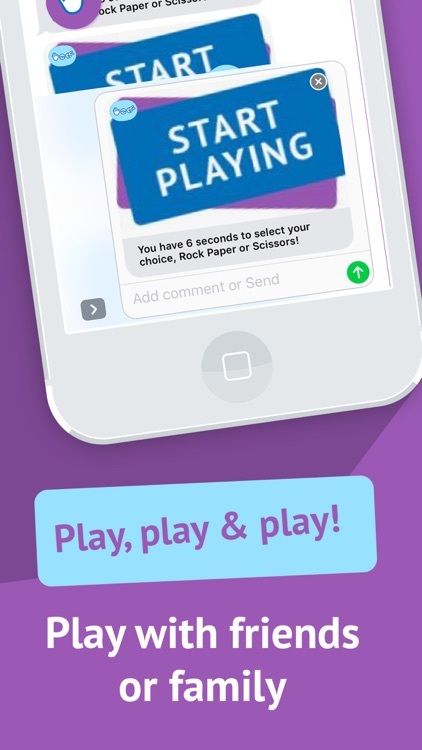 You are fed up of playing against up to 3 of your friends on iMessage live. Muster up your courage and defy them strong enough for you! In case you’re a beginner, here’s a short recap of the rules of the game. 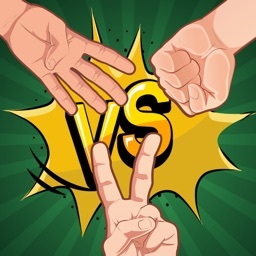 You and your opponent must choose a sign that you will then compare: the rock break the scissors but is covered by the paper, the paper beat the stone but is cut by the scissors and the scissors beat the paper but are broken by the stone. It is very easy to play but very hard to win! Prove your RPS skills and beat your friends! 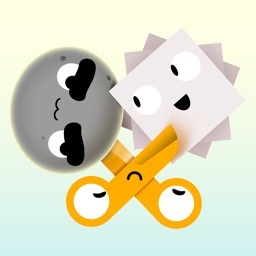 Why you need to download and install our Rock, Paper, Scissors iMessage game instead of other free iphones RPS games? - Our team made some Cool and smooth high quality graphics to give you the best experience while playing the best game ever ! You will enjoy playing it ! 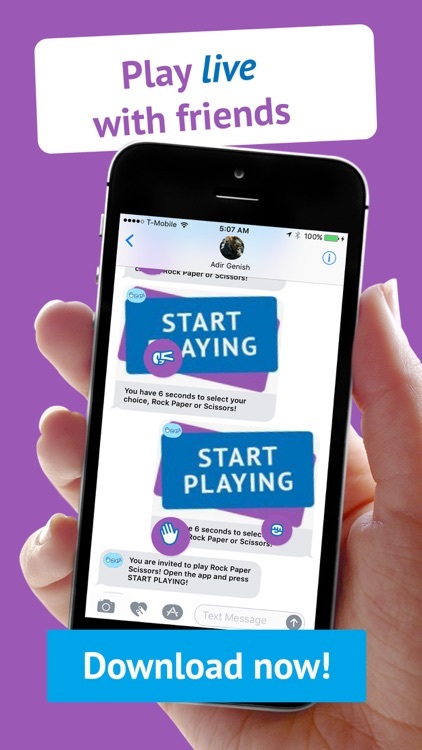 - The best thing is that Rock Paper Scissors iMessage game is FREE and it will stay Free for life, so there is No hidden fees, no special memberships and no annual subscription fees. - We know that you will be addicted to our two people fun game and that's why we made them unlimited. Yes, unlimited, they can play as much as you want without any limits within your iPhone or iPad. 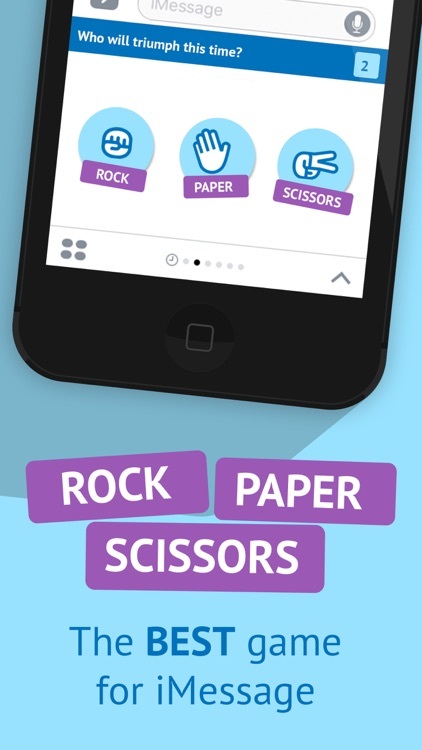 Rock Paper Scissors is a very famous game which you might have enjoyed with your friends but now it is the time to enjoy the same game with your friends on your iPhone. 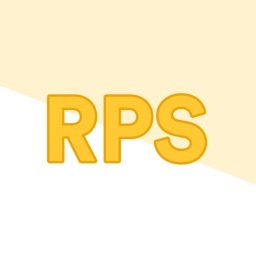 This RPS game is very interesting and a fun game to play against your friends over iMessage. 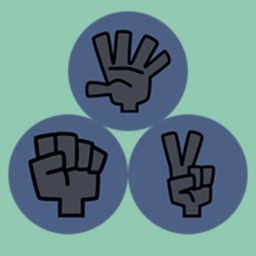 Our game will let you challenge your friends, settle disputes, make decisions and beat them! So, what are you waiting for? Download our game now and enjoy it with your friends or family!